After the success of FP2P last December with over 100,000 entries, FP2P or From Players 2 Players is back with a second version. 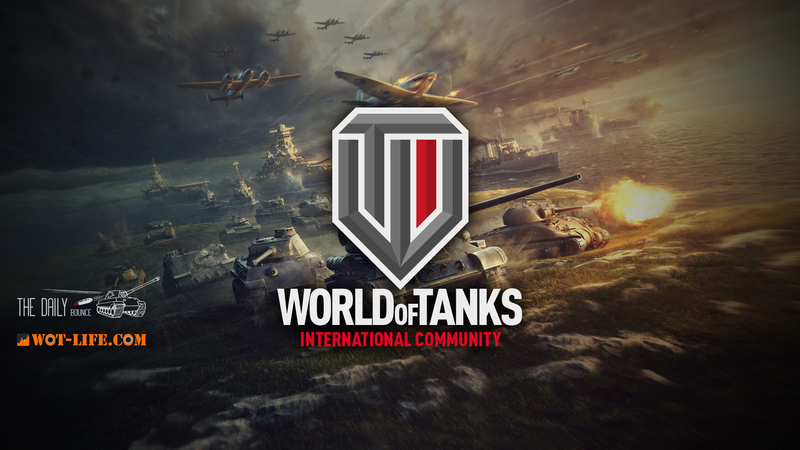 FP2P is a project made by World of Tanks International Community to help five small Streamers and five Small YouTubers growing their channels, either in Followers or Subscribers while giving them the opportunity to have more public engaging their channels. FP2P Giveaway works on three different servers: Europe, North America and SEA. Each action gives you Entry points so you will have optional tasks that you can decide whether you do them or not. If you do those tasks, you get more chances to win since it will give you more Entry points. Players are advised to only register for the giveaway on their respective servers. If you have an account more than one region, you can enter on each region giveaway individually. LOL, I entered the giveaway looking for how I could get involved as a small streamer. Not really interested in the giveaway, but I like the idea of helping out small streamers. Good luck to all of them! Hey there, i’m the founder of the project, if you’re a member of WoTi we always open applying to the project 1-2 months before we start. Alrighty! 🙂 I’m a member and I play WoT so much its coming out my ears, bwahaha! I stream WoT daily on Twitch plus Blitz on YouTube on the weekend. I’ll see you on the battlefield! Nice project, by the way! i cant subscribe to anyone on twitch because i dont have an amazon prime account and i am not willing to pay because i dont have a credit card what do i do? @Harkonnen, Ahmad Askar is talking about the 2x 50 bonus points for which you need to SUBSCRIBE on Twitch for which you either need to pay or have Amazon Prime. He is not talking about the follows. You need to FOLLOW them on Twitch with your free Twitch account. Following streamers on Twitch is free. Subscribing on Youtube is free. Following on Twitch is the same as Subscribing on Youtube, completely free. Subbing on Twitch is optional, you only do it if you wanna directly support the streamer. NekoPuffer… I think you misunderstand what Ahmad Askar is talking about there are 2x +50 points you can get if you are a subscriber to two Twitch channels. Not followers, subscribers! For this you simply need Amazon prime or must pay. If your sole motivation is this giveaway I would recommend against paying to subscribe unless you legitimately like that channel. We might have bad news on the SEA side sadly, but i’m working on it to see if we can launch it soon. There were some troubles in WG’s side. When prizes will be given?date? They are yet to be defined, a statement will be released close to the date of the giveaway ending, it will probably happen on a Twitch Channel btw. Do you HAVE to be apart of their Facebook group to win? I don’t have a Facebook and that’s annoying if you have to have one to win.